On 19th December we’ll be holding an In The Dark Christmas special. It will kick off the Caretaker’s Christmas Party hosted by the lovely Cathy FitzGerald, audio producer extraordinaire and Caretaker of the Strange and Charmed school for audio storytellers. 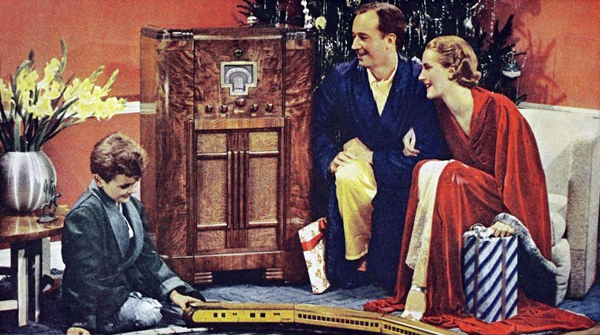 Together with Cathy we’ve been rummaging through radio archives past and present to bring you a selection of audio that’s creative, inspiring and of course, hopelessly Christmas-y. The event will be followed by what promises to be the radio party of the season, hosted by the Caretaker herself. From the truth about Santa Claus to racing reindeers, delicious grub and audio-themed lucky dip, there will be no other event this month that will make your ears feel quite so toasty.